A great reference for sketching or drawing, the natural wood manikins are fully pose-able and adjustable. 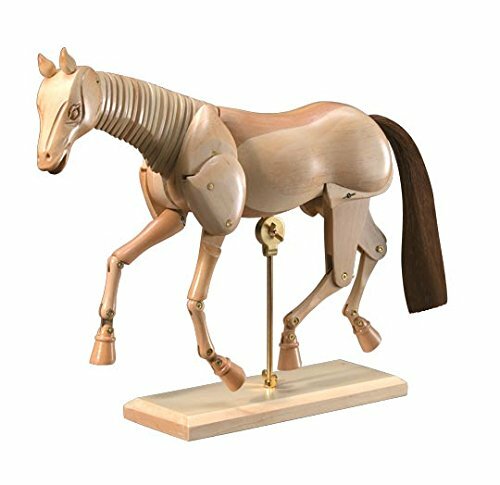 Ideal models for sketching, drawing, or painting, or an attractive moveable sculpture for horse and dog lovers. Adorable display items for the classroom, office, or studio. 12 inch wooden horse.